Important improvements are being made to Air Canada's eUpgrade program. Lower eUpgrade credit requirements, which were introduced in July 2015 as special time-limited promo, will become the new permanent requirements moving forward. This applies to eUpgrade requests made for flights within Canada, from Canada to the US and from Canada to Sun destinations. 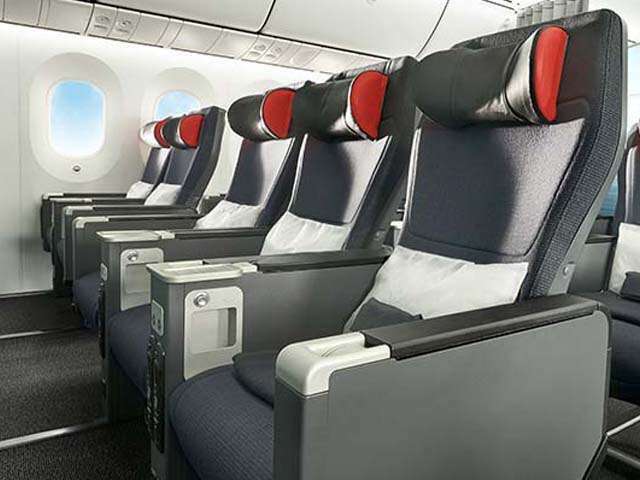 Prestige 25K and Elite 35K members will now be able to request eUpgrades to International destinations from all Flex fares and Premium Economy Lowest fares (these members were previously restricted to requesting from Latitude, PY Flexible and M & U Flex fares). Similar to other Altitude members, eUpgrade add-ons will be required. All Altitude members will be able to request eUpgrades from Tango and Aeroplan Fixed Mileage Flight Rewards, for a time-limited period, to Business Class and Premium Rouge for flights within Canada, and between Canada and the US, as well as eUpgrades to Business Class between Canada and International destinations . Members will be able to request these eUpgrades by using the same number of eUpgrade required for an equivalent eUpgrade from Flex, however an eUpgrade Add-on will apply. valid on all Tango fares and Aeroplan Fixed Mileage Flight Rewards. Add-ons will range from $50 to $150 for North American upgrades and from $600 to $850 for international upgrades.